The Gravity Derby event race takes place in Creede Colorado in August.
. . . More information Coming Soon! . 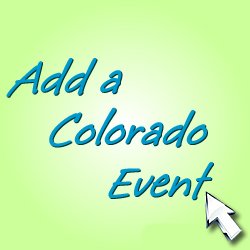 . .
Colorado Event Organizers, Chambers, Marketers, and Promoters – if this is a Colorado Event you are associated with, please update or add your Colorado Event in the Colorado Event Guide database. Colorado Event Sponsors and Colorado Event Vendors, please let the organizers of this Colorado Event know they need to update this Colorado Event information here. Visiting? Discover great Event Lodging Deals for Colorado and more. The Salsa Fiesta celebration takes place in Creede Colorado in August. The Creede Balloon Festival event celebration takes place in Creede Colorado in August. The Labor Day Weekend Celebration takes place in Creede Colorado in August – September. Welcome to Colorado Event Guide – your resource to Celebrations & Destinations across the beautiful state of Colorado! Add your Event to our Colorado Directory today. At ColoradoEventGuide.com we promote Colorado events, festivals, expos, community celebrations, school – church – and non-profit fundraisers, business grand openings, and more. Basic information to include with your event listing should be a Time/Place/Location – a short description of the event, an additional website link or resource is helpful, as well as an image (optional). Thanks, and have a wonderful time enjoying the beautiful state of Colorado! © Colorado Event Guide All Rights Reserved.